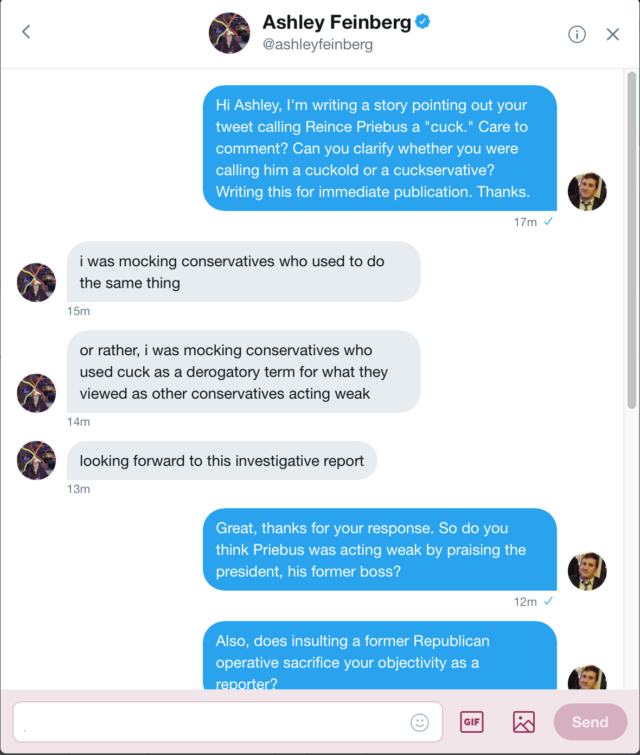 Huffington Post senior reporter Ashley Feinberg called former White House Chief of Staff Reince Priebus a “cuck” on Twitter Wednesday. Feinberg included the insult when she retweeted Priebus’ praise for President Donald Trump’s State of the Union speech. 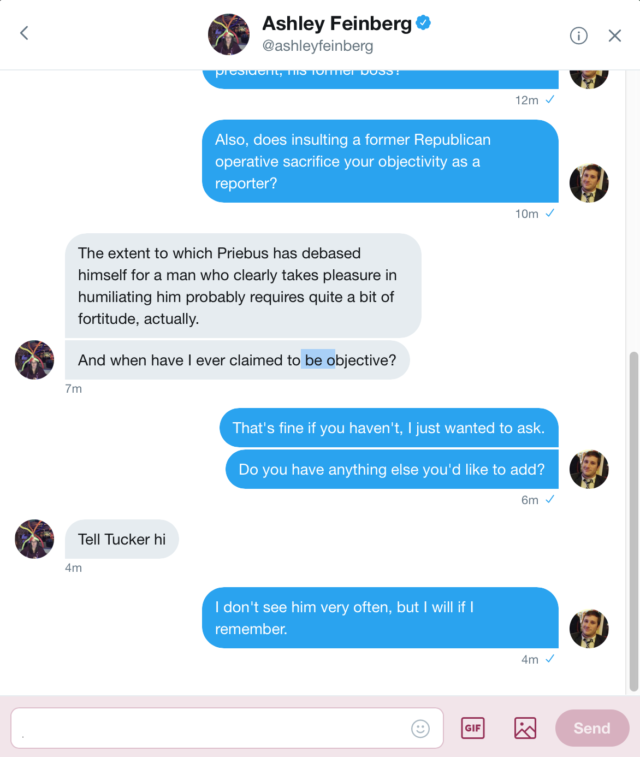 “The extent to which Priebus has debased himself for a man who clearly takes pleasure in humiliating him probably requires quite a bit of fortitude, actually,” she continued. Feinberg also didn’t try to position herself as objective – a traditional staple of journalism. “And when have I ever claimed to be objective?” Feinberg said. “Looking forward to this investigative report,” she told TheDCNF’s investigative reporter interviewing her.